Legal Workforce Act: To amend the Immigration and Nationality Act to make mandatory and permanent requirements relating to use of an electronic employment eligibility verification system, and for other purposes, as introduced. The latest attack on our right to anonymity and privacy comes stealthily packaged in the form of so-called job protection legislation. Introduced by House Judiciary Committee Chairman Lamar Smith (R-Texas) in June 2011, H.R. 2885 (formerly H.R. 2164), the "Legal Workforce Act," is being marketed as a way to fight illegal immigration and "open up millions of jobs for unemployed Americans and legal immigrants." However, this proposed federal law is really little more than a Trojan horse, a backdoor attempt by the powers-that-be to inflict a de facto National ID card on the American people. If approved by Congress, this legislation would make the federal government the final authority on who gets hired by American businesses and in the process create a bureaucratic nightmare for already over-burdened and over-regulated small business owners. In a nutshell, H.R. 2885 requires all employers to submit potential employees' names, Social Security numbers and other data to the Department of Homeland Security (DHS) for authorization before the employees can start work. The data would then be run through E-Verify, a government-run database and employment identification verification system. In other words, the E-Verify system would require all those wanting to be employed by American companies to register the credentials of their citizenship in a government database. What this means, of course, is that in order to be able to verify an applicant's legitimacy, the government would first have to build a massive database to store the biographical information of the entire working population in the United States--a huge undertaking with numerous pitfalls and security flaws, as we have seen with many other government databases. If you think unemployment is a problem now, just wait until your employment hinges on getting government clearance. Under this legislation, if a worker's information is incorrect in E-Verify, he or she can't work until the problem is resolved. Recently, the prohibition in H.R. 2885 on using the E-Verify database for purposes other than employment verification was replaced with a new section that allows the system to be used to "protect critical infrastructure." That term is broadly defined and it's not clear what this would mean in practice--whether screening air travelers or controlling access to federal facilities--but it clearly signals a huge expansion of the program. In one paragraph in the legislation the government states that E-Verify will not be used just for employment but also can be used for verifying identify for national security. What this means is that American citizens would have to have their information correct in E-Verify not just to get a job but also potentially if they need to access "critical infrastructure"--i.e., any kind of public transportation. Ironically, this language comes right after the paragraph saying there will be no National ID card. Not only will government agencies know everything about American citizens, but private corporations will become policemen for this system. The E-Verify system--part of a broader trend in American politics, namely, the collusion of government and corporate interests--will allow government and corporate officials to repress dissidents and suspects simply by restricting their access to basic services. Once all of your information is tied together and placed in one grand database, any government or corporate agency can wreak havoc on your life. You might try to buy groceries only to find that your credit card has been denied. You might apply for a job, at ten, twenty, fifty corporations only to find that, despite your being very qualified, there just isn't any room for you at the company. Without a job, you might be forced to tap into the welfare system, only to find that your application was denied. Your property might be confiscated. When you try to move somewhere else and start anew, you might find you can't board the plane because you're on a no-fly list. Make no mistake, these are the tactics of a totalitarian society. With the introduction of an identity card that contains information such as ethnic origin, government agencies will be able to identify people on the basis of race or religion with considerable ease. For example, in the months following the 9/11 attacks, Muslim men from Arab or South Asian countries were rounded up on the basis of religion and ethnicity and detained indefinitely in the United States, often without access to an attorney or a judge. Imagine how much more far-reaching that government detention program might have been with a National ID in place. At the time the Privacy Act was passed, Congress had no reason to suspect that private corporations would ever have the desire or means to create such databases. The emergence of data collection corporations, however, has enabled government intelligence and police agencies to circumvent the law and gain information on private citizens with the click of a button. Although such tactics clearly contradict the spirit of privacy laws intended to guard against government abuse, it is technically legal for the government to gain access to these databases. Government officials have taken full advantage of this loophole. Due to the fact that these databases are owned and operated by private corporations, they are relatively unregulated and fall outside the scrutiny of privacy watchdog groups. Reports of security breaches at numerous data brokerage companies only serve to fan concerns about the lack of oversight and regulation. In this column last week, I raised the alarm about the “E-Verify” program proposed to be implemented as part of the Legal Workforce Act (HR 2164) under consideration to be fast-tracked by House Judiciary Chairman Lamar Smith (R-TX). Now, even before the legislation has passed the House, it has morphed into something far broader and more troubling than its initial permutation. It truly must be rejected. Originally, the most troubling aspect of this legislation — supposed to protect the American economy against illegal immigrants being employed by U.S. businesses — was its requirement that businesses run names of job applicants through the government-run E-Verify database to ensure new hires are legally authorized to work in the United States. Although its supporters said that the bill was not a “National ID,” it clearly incorporated the potential to become just that. It even included a mandate that the government sign off on any persons hired by companies. Now, we have learned that mission creep has already infected the legislation and dramatically broadened its reach. For example, language that purported to prohibit use of the database for purposes other than citizenship verification suddenly has been dropped. In its place, the legislation would now authorize E-Verify to be used to “protect critical infrastructure,” whatever that means. Thus, the legislation, if enacted, could be used by the government to grant or deny access to anything it decides is related to national security, including access to certain facilities or programs controlled by the federal government, such as access to commercial air carriers. A coalition of groups — including Downsize DC, the Republican Liberty Caucus, Tea Party Nation and the Competitive Enterprise Institute — have announced their opposition to the bill, even buying a full-page ad in Politico. The groups also sent a letter to members of Congress warning that the Legal Workforce Act would hurt small businesses, put Americans at risk of identity theft and further erode civil liberties. “Every American should receive permission from the federal government before they can start a new job”? If you don’t remember that, then it’s for a good reason — Republican candidates for Congress in 2010 promised smaller, less intrusive government, not new mandates on Americans and their employers. The 2010 election was about more than deficit spending; it was about limiting the power of the federal government over the lives of Americans and job-generating employers. However, the Republican promise for limited government is clashing with a Republican-sponsored bill that has passed the House Judiciary Committee, H.R. 2885. This questionable bill, which would affect job seekers and job creators alike, is awaiting word from the Republican House leadership on when it will come to the full House for a vote. H.R. 2885 would require all employers in America to use an electronic employment verification system called E-Verify every time they hire someone. E-Verify would change the relationship between the governed and the government in a fundamental way. If H.R. 2885 becomes law, employers will face possible criminal prosecution if they fail to use a federal database to check all new hires. “The ‘good faith defense’ in the bill is not available to employers who fail to verify existing employees when they become subjected to the E-Verify system.” In fact, it appears there are a variety of ways in which a small business owner can be tripped up by the legislation and be forced to close his or her doors or at least lay off employees to survive. Is this “less government”? As harmful as mandatory E-Verify will be for employers, including farm owners, it could be even worse for potential employees. According to government data, if E-Verify is made mandatory more than 160,000 people a year, about 1 million over six years, will be forced to go to a federal government office or otherwise correct errors to work in America. Some estimates of the number of us who will need to convince government workers in the Social Security Administration or other agencies we have the right to work in this country are much higher. An employer who “pre-screens” an applicant and doesn’t get a green light via the flawed E-Verify system may assume a worker is an illegal immigrant without giving him or her a chance to correct their data with the government. That means legally authorized workers in America may not even know why they didn’t get a particular job. This would create the opposite of a more accountable government. Congress will pass a mandate, then leave it to private sector employers and government bureaucrats to face the ire of workers who are unable to work because of errors in their files. Wait, isn’t e-Verify central to stopping illegals? Well, no, stopping them at the border STOPS illegals. How can that be you ask? Well, it’s central to their cross-border CANAMEXUS “labor mobility” plan. They know that once everyone is in the work database (really the US Department of Homeland Security national ID database for which e-Verify is just a user front end), that as soon as “open borders” passes, they simply flip the switch from Mexican Citizen eligible = N to Mexican Citizen eligible = Y, and VOILA, the 21 million illegals go from e-Verify clearance NO to YES …. OVERNIGHT!!!! 2) The only way e-Verify works in the first place is if they have the records BEFOREHAND of everyone who is “supposed to be here”. Well, how does the federal government get that information? Hmmm….. The STATES give it to them! The states turn over their drivers license and birth certificate databases to the US Department of Homeland Security so the feds can construct a massive national id database on all US citizens. Anyway, is it any surprise the feds are doing this? They’ve been at it for over a decade. Too bad the teapartiers weren’t paying attention as “conservatives” they were supporting sold out their privacy, sovereignty, and birthright to the feds for some silver pieces (attention in the media). To make e-Verify “really work”, we’re going to have to pony up the most private of private data, our personal bio-metrics to the feds to put in their national id database, including our HANDS (finger prints) and our FOREHEADS (facial recognition technology). Are our “conservatives” like Pearce and Adams going to tell us that us law abiding citizens have to give up MORE to the feds to “stop illegals”? Real conservatives, in other words — those who are religious and opposing the mark as well as those who have never wavered from wanting smaller government, less government intrusion, lower spending and lower taxes — have been sold out by false conservatives who use the illegal immigration issue as cover to push their agenda of larger government, more police power over law abiding citizens and to implement national id. The teaparty should take note. Smaller government is NOT bigger government and bigger government is NOT smaller government. Further the way you secure the border NOW is PUTTING ARIZONA'S NATIONAL GUARD THERE. Not putting all law abiding citizens into the US Department of Homeland Security’s national ID database. What Happened to Wages of Native-born Workers after Arizona Passed E-Verify? Lawmakers in several states have vowed to pass undocumented employer sanction laws after the Supreme Court upheld Arizona's this year. Rep. Lamar Smith (R-Texas) has drummed up some support to pass a federal version in Congress that would require all employers to use the government's E-Verify database to ensure their employees are authorized to work--or risk losing their business license. Arizona provides a case study for the effects of a tough E-Verify law on the labor market. According to a study released this year by the Public Policy Institute of California, about 92,000 or 17 percent of the Hispanic non-citizen population of Arizona left in the year after the state passed E-Verify legislation. The researchers say most of them were illegal immigrants, and determined that the recession was not the cause of the exodus by comparing the migration patterns to those of other states. After this exodus of mostly illegal immigrants, wages did not budge for native-born residents, the study found. More of the remaining Hispanic immigrants became self-employed over the same period, suggesting that they were pushed into informal and underground jobs as employers no longer wanted to take the risk of hiring them formally after the law passed. E-Verify is a federal system that combines Social Security data with Department of Homeland Security immigration data. For authorized workers, the system is right about 99 percent of the time. (That error margin adds up: If applied to the whole workforce, nearly 800,000 people would be falsely flagged by the system.) A person only has 8 days to appeal if the system falsely labels him or her as an illegal immigrant. Meanwhile, the program only correctly identifies illegal immigrants about half the time. So far, Mississippi, Alabama, Georgia, South Carolina, North Carolina, Tennessee, Louisiana, and Utah have adopted mandatory E-Verify laws. What do Continental Airlines, the Houston Ballet, the city of Dallas and Sen. John Cornyn all have in common? They all use the federal government’s E-Verify program to check if their employees are authorized to work in the U.S. legally. A Department of Homeland Security database of the more than 118,000 public, private and government employers enrolled in E-Verify as of May 1 shows companies big (Tyson Foods) and small (the Ballard Street Café in Wylie) are signed up for the program. Enrollment has grown exponentially in recent years, with about 1,000 employers signing up each week for the free Web-based program, according to DHS statistics. More than 6,100 Texas employers have enrolled as of May 1, including at least 60 city, county and state agencies. The city of Houston and Harris County aren’t among them. Lakewood Church and the Houston Rockets, however, use E-Verify. “Why not do it?” asked Gerry Boren, the city manager of Gun Barrel City, population about 6,100, which sits on Cedar Creek Lake southeast of Dallas. The city started using the system in May, and so far has verified the work authorization of a police officer and two public works employees, he said. Critics say there are good reasons not to use the program, which has been around for more than a decade. Some big business groups have opposed efforts to compel participation in the program, arguing it can be burdensome, particularly for small employers. Immigrant advocates have criticized E-Verify for incorrectly flagging people authorized to work in the U.S., including naturalized U.S. citizens. Homeland Security officials insist the system’s performance has improved significantly in recent years, and said they remain committed to pushing ahead with plans to require federal contractors to use the program starting by the end of June. The agency reported that 96 percent of cases submitted to the system resulted in confirmations within 24 hours during the third quarter of 2008. In the remaining 4 percent, the system found a discrepancy in a new employee’s paperwork that needed to be resolved. At the federal level, participation in E-Verify is voluntary for businesses. At least nine states now require that state contractors or state agencies use the system. Arizona, Mississippi and South Carolina passed more stringent laws that require public and private employers to use the system. A bill that would have made participation in E-Verify mandatory for all government agencies in Texas failed to make it out of committee this session. Dozens of Texas cities and counties are participating in the program. Dallas opted to enroll in 2004. Frank J. Librio, a spokesman for the city of Dallas, said the program helped ensure the city complies with federal employment verification laws. During the past five years, E-Verify checks have resulted in “non-confirmation” notices for 63 new hires, Librio said. Twenty-nine people who received the letters opted to “self-terminate” the employment process. He said the remaining 34 resolved their issues and were hired. The city of Houston enrolled in the program about a year ago, but does not use it, said Roland Bienvenu, a spokesman for the city’s human resources department. “We’re not required to use it, and we already take steps to verify employment eligibility,” Bienvenu said, including requiring new employees to complete the I-9 form as required under by law and checking a Social Security Administration database. Frank Michel, a spokesman for Mayor Bill White, said the city is revamping a portion of its internal computer system, and will consider training employees to use E-Verify once the other upgrade is completed later this summer. Michel said there is also some concern that the city’s hiring process, which involves multiple departments, may make it difficult to comply with certain deadlines requried by E-Verify. Harris County also does not use E-Verify, said Richard Foisner, director of payroll for the county. “Basically, the way I understand it, currently it’s an optional program,” Foisner said. Despite its recent enrollment boost, E-Verify still is used by less than 2 percent of the nation’s more than 7.4 million employers. Only about 1.3 percent of Texas’ 509,000 businesses have signed up. The list of participating employers spans across the state, from small, rural churches to massive slaughterhouses. Naegelin’s Bakery in New Braunfels, which claims the title of “oldest continuously operating bakery” in the state, has signed up. The Boys & Girls Club of Arlington is a participant. So is the Coca-Cola plant in Odessa. CenterPoint Energy, Lockheed Martin Corporation and Happy Hen Farms Inc. are all enrolled. But Halliburton is not. Frank Crapitto, owner of Houston restaurants Crapitto’s Cucina Italiana and Frank’s Chop House, said his company signed up to try the program in February. Crapitto said he hasn’t used it yet, but plans to start with the next round of hires. In April, the Obama administration announced new guidelines that increase the focus on employers who break the law. “They’re talking about all of these punishments for people that hire illegal aliens,” Crapitto said. “And you have people coming in with fake IDs, fake driver’s licenses and Social Security cards. So you don’t know what you’re getting. “This helps you follow the rules,” he said. The rush is on to force into law mandatory use of the E-Verify system that will mandate that all businesses use this hand-me-down from the Social Security Administration in order to hire anyone. Republican Representative Lamar Smith has introduced HR 2164 and House action is expected at any time. Say proponents, E-Verify is necessary to stop illegals from getting jobs. Many freedom-loving Conservatives are supporting the idea in a desperate attempt to control illegal immigration. Is this the right way to protect America? To answer that, it’s necessary to ask another question. If government won’t do its job, is that a reason for Americans to surrender their liberty? Do you think that is a funny question? Well, it is actually what a number of Conservative activist groups are now advocating in the name of stopping illegal immigration through enforcement of E-Verify. The fact is, the U.S. government is not doing its job to secure the border and stop the flood of illegal aliens from rushing across it. Even though Congress has passed legislation demanding that a fence be built, the Department of Homeland Security (DHS) has dragged its feet, deliberately holding up the project. Moreover, DHS is fighting efforts in local communities to allow police to arrest illegals. There is little effort to tighten visa security, or allow law enforcement to track down and deport those who stay here past their allotted time. Those illegals caught committing crimes are still allowed to leave, only to easily and surreptitiously return at their will. The border is a sieve. There is no border control – period. Rather than work to strengthen the borders and take steps to stop illegals from getting here in the first place, many now seek “internal enforcement” instead of the “rule of law.” In other words, take action while leaving the barn door open. The answer, say some very powerful anti-immigration forces, is to put the burden of control on American businesses. Jobs, they say, are the draw to illegals, so business should be the first line of defense. The answer, we are told, is simply to get tough with business and stop the ability of illegals to get a job. Such a plan, while appealing to desperate Americans, can have dire consequences if a nation desires to remain free. Chief among the schemes to “get tough” with business is the universal enforcement of something called the E-Verify System. It is the brainchild of the Department of Homeland Security and is an electronic employment verification (EEV) program. Essentially, E-Verify uses the Social Security databases to check potential employee Social Security Numbers to determine if the job candidate is a US citizen. Employers are to simply enter in the applicants Social Security Number to verify they are an American citizen (of legal status) and therefore eligible for employment. The Immigration Reform and Control Act of 1986 made it illegal for employers to “knowingly” employ unauthorized workers, and E-Verify (then known as “Basic Pilot”) grew out of the requirement for work-eligibility verification. Since its inception the program has been voluntary for all businesses. However, if Smith’s bill passes, voluntary will change to mandatory. In 2007, after the dramatic defeat of the illegal immigration amnesty bills, Homeland Security Secretary Michael Chertoff announced several changes to the E-Verify System. The agency now requires more than 200,000 federal contractors to use E-Verify, an increase of more than 1,076 percent over the 17,000 employers registered in 2007 (with only about half actually using) E-Verify. The system now requires an “enhanced photograph capability” that will allow employers to check photographs in E-Verify databases. DHS is expanding the number of databases E-Verify checks to include visa and passport databases; and the agency now wants direct access to state Department of Motor Vehicle databases. DHS will require employers to fire employees if they are unable to resolve “no match” discrepancies within 90 days. If the employers do not terminate the workers’ employment, the business will fines of $11,000 or more. DHS also will raise fines against employers by 25 percent and increasingly use criminal action against employers, as opposed to administrative action. With those changes, E-Verify is now being sold as the atom bomb in the war on illegal immigration. 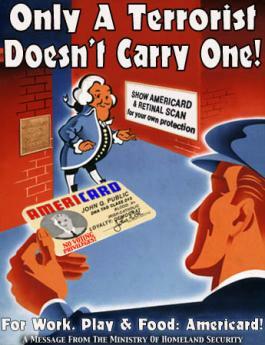 Described as “the most effective tool to protect vulnerable American workers from unscrupulous businesses that hire illegal foreign workers to displace American workers or depress wages.” Sounds great – of course all of this confidence in the E-Verify System’s ability to stop illegal immigration is celebrated BEFORE most businesses have even been required to use it. The fact is, there are major problems with the E-Verify System. It is a hugely flawed system and will have a severe effect on both naturalized U.S. citizens, as well as those who are native born. Millions of employees could mistakenly fall into legal limbo. Independent analysis of existing government databases have found unacceptably high error rates. Currently those voluntarily using E-Verify have experienced near double-digit error rates. Forcing more than 7 million employers to verify the legal status of more than 160 million current employees, as well as the millions of future hires, means that potentially, as many as 17 million citizens and legal US residents will be mistakenly found “ineligible” to work. The fact is, the Social Security Administration (SSA) never purges a Social Security number once it’s assigned. The Numident database (which E-Verify uses) currently contains 435 million records; more than 100 million more than the nation’s total population, legal or otherwise. In December 2006, the SSA Inspector General reported approximately 18 million of these records are not accurate. Yet, DHS wants E-Verify made mandatory for the entire American work force. Imagine the problems faced by honest, law abiding Americans who are thrown out of the system. In most cases, these are not well-to-do executives who can simply take the afternoon off to fix the problem. They are lower level workers who depend on every dime they earn to pay the rent and feed the kids. Simply taking a day off to go down to the local Social Security office isn’t an easy thing. From the moment they are found to be a “tentative non-confirmed” they have eight days to contest the claim and to prove they are legal. A day off work is required because the Social Security office is only open from 8:30am to 5:00pm. If the employee fails to make it to the office in the 8 days, the employer is required by threat of fine and criminal charges to fire the employee. Moreover, as the E-Verify system is forced on all employers and the large numbers of employees (as reported above) are thrown from the system, there will be a massive run on the Social Security office. The SS Administration is simply not equipped to handle such a massive influx of cases. The infrastructure to handle it is not in place. As anyone who tried to get a passport a few years ago after the government makes significant, mandatory changes in a system, knows how badly managed typical-government inefficiency made for massive lines. New rules concerning passports forced Americans to flood passport offices, but the offices weren’t prepared to receive and process the massive number of applicants. The E-Verify System would force much larger numbers into unprepared Social Security offices. Now, under E-Verify, employees that do make it to the SS office may be forced to return day after day. Jobs and income will be lost as the Employment Eligibility Verification (EEV) process does not permit employers to hold the jobs or delay start dates. The clock starts to tick the second the tentative non-confirmed notice is issued and runs out in exactly 8 days. If it’s all been a mistake, the burden of proof is on the employee to prove who they are and that they are legal citizens or residents eligible to continue working. These law-abiding American citizens enter the Social Security Office as criminal suspects with the potential of being deported. Contrary to American law, they are guilty until proven innocent. Incredibly, there is no appeals process in place to challenge the findings of E-Verify. The E-Verify System is promoted as the only foolproof way to stop illegals from obtaining jobs. Advocates say the program has enough safeguards to protect citizens. Not so fast. Once the system is in place there are huge gaps that allow massive fraud. To work efficiently, an E-Verify System allows employers access to a centralized record of all legal residents and citizens. Given the government’s mixed record on data security, this could become a one-stop-shop for identity theft. First, illegals and those employers wishing to hire them can simply work under the table, paying cash, hiding the transaction from any official source. Illegals don’t regularly file income taxes, so the hire isn’t hard to hide. On a larger scale, it must be understood that illegal immigration is big business and it has the money and the means to create false documents and to provide “legal” identification, complete with matching names and Social Security numbers. Today, many illegals simply make up names and Social Security numbers, hoping not to get caught. Of course, the E-Verify system would catch them. However, in response, an illegal only has to obtain the name and SS number of a legal citizen. While that legal person may already be working a job, it will not create an alert if the information is used by someone else. Such information can be available through a wide variety of situations, including stolen lists and select employees with access to databases like the Social Security lists. Organized crime can certainly have well placed cohorts. The process would create a massive criminal market for Americans citizens’ personal information. The only way to stop it is for the federal government to create a new database that records every new hire and monitor all employees in the nation. The real losers in this game are the people who now have had their identity stolen in the process. They may be the ones accused of identity theft as they suddenly discover someone else is using their name and SS number. Of course, the federal government has proven it has no ability to safeguard the records in its current databases. And the more databases established, the more opportunity for theft. Not long ago there was a major scandal as federal employees were caught “sneaking a peek” at the passports of a large number of celebrities and even presidential candidates including Barack Obama, John McCain and Hillary Clinton. In August of 2007, the Transportation Security Administration (TSA) lost a laptop computer which contained the records of 33,000 people who had signed up for its pre-screening program, designed to give travelers quicker access through airport security. The unencrypted information in the database included names, addresses, driver’s license numbers, passport numbers, Social Security numbers, Alien registration numbers, and current credit card numbers. The laptop was in the possession of employees of a private company contracting with TSA for the project. TSA signup documents for the project promised that the records would be maintained at its headquarters in Arlington, VA and “other authorized TSA or DHA secure facilities, as necessary, and at a digital safe site managed by a government contractor.” In reality, the laptop was stashed in a locked office at the San Francisco Airport. There are a lot of laptops containing personal information of Americans being taking home by government employees these days. Why? “Mission Creep” is the commonly used description for a program designed for a specific purpose, but is later used for much more. A prime example of mission creep is the Social Security System itself. It was designed specifically as a means for people to deposit money into a government program to supplement their retirement years. Today, there are those who want to take its databank of users and transform it into an identity system to prove American citizenship. The excuse – “well, it’s already there!” That’s mission creep. As reported in the beginning, the Department of Homeland Security intends to increase the E-Verify system to include biometric photographs and extended databases. On numerous occasions DHS spokesmen have expressed the desire to create a national identification card that would include near complete information on its bearer. This would include job, medical, tax, and school records. It would also include biometric and facial recognition, with RFID microchips that could monitor the whereabouts of every American. E-Verify is the beginning of the creation of such a system. Is it worth it for Americans to endure an existence in a well-controlled matrix of surveillance simply to catch some illegal workers? Communities across the nation are proving that illegals will stop coming here – in fact actually leave – if they are made to feel unwelcome. Arizona’s much derided immigration law has proven that a get tough policy results in illegals avoiding the area. Manassas, Virginia is another locality that had a huge illegal immigration problem, only to see a huge decrease in such activity when it passed tough new laws to arrest and deport them. And the most dangerous aspect of E-Verify is that it sets the stage for a national workforce management system which gives the government ultimate power to decide who works and who doesn’t. Will Obama appoint a “Jobs Czar” to comply with the new E-Verify law? It is designed to ultimately subject all Americans to an intrusive global surveillance system as the information in DHS databanks is being transferred to international systems through such DHS partners as American Association of Motor Vehicle Administrators (AAMVA) and the International Civil Aviation Organization (ICAO). The federal government has been given the mandate by the people to close the borders and keep them out. It doesn’t require cradle-to-grave biometric tracking of every legal American to accomplish that task. Facts show that such “internal enforcement” would not reduce the illegality, it would promote it. Border security combined with real efforts by the government to keep illegals out of the country will do much more to stop the flood than by chaining American citizens to massive, all-knowing surveillance data banks. Those who profess a love of freedom must learn quickly that granting government massive new powers to control employment is not freedom, but tyranny beyond any ever experienced in the United States. HR 2164 and E-Verify in any form must be stopped. Special thanks to extensive reports on the E-Verify issue by Jim Harper at CATO (Electronic Employment Eligibility Verification, Franz Kafka’s Solution to Illegal Immigration), and the Electronic Privacy Information Center (EPIC), (E-Verify System: DHS Changes Name, But Problems Remain for US Workers).